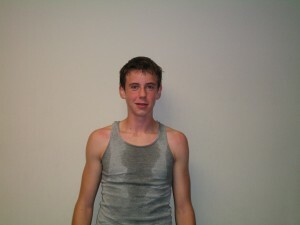 The 40th Member of the Soccer Fitness 20 MPH Club, Austin successfully completed 2 separate, 4-second running bouts, at a speed of exactly 20 miles per hour, on Tuesday, September 13, 2011. A midfielder with the Markham Lightning 1996 Boys, Austin is also a student at the Bill Carothers Secondary School for elite athletes in Markham. Austin’s entire team has only started training with Soccer Fitness in the past 3 weeks, and he has become the first team member to join the 20 MPH Club. We are expecting Austin to continue to improve his running speed in the coming weeks and months, and are looking forward to continuing to work with him throughout his soccer career.